Delicate, lightweight and airy, these drilled necklets are inspired by the seafoam generated by the incoming and outgoing tide. The tiny white bubbles that wash up at your feet and slowly fade are mirrored here with a randomly drilled surface. Made from a single spoon bowl that has been hammered flat and then rolled to a smooth finish through my rolling mill. Drilled randomly to mimic the bubbling seafoam that washes around your toes on the beach. This randomness makes each earring totally unique. 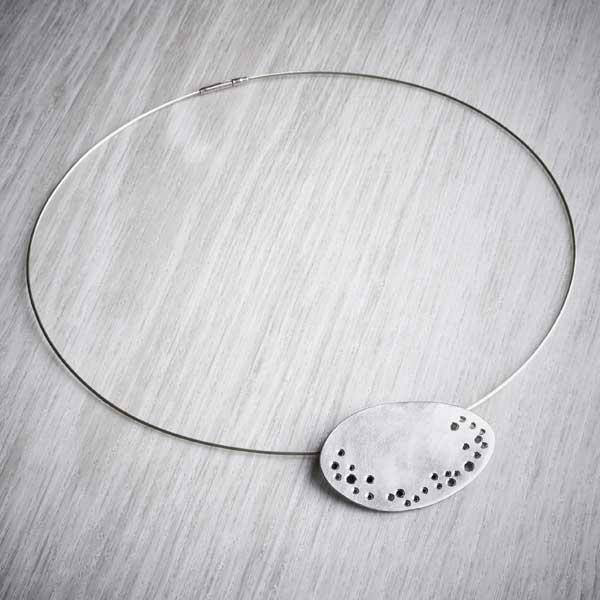 Given a brushed finish, each recycled silver necklet is completely unique. The photographs show an example of what you will receive – as each necklet is handmade, the one you receive will differ from the ones photographed. 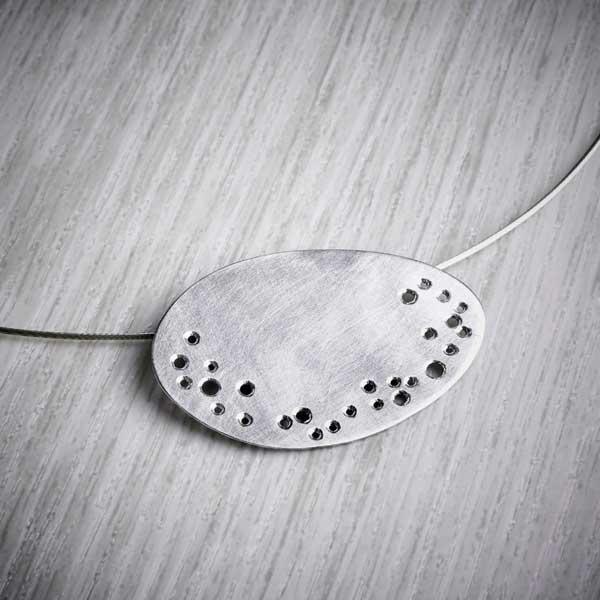 Hallmarked for quality at the Edinburgh Assay Office. Each necklet measures approx. 2.5cm x 4cm – sizes vary slightly depending on the spoons used. Hung from fine 40cm/16″ cable necklets with a bayonet clasp. Made from 100% recycled British antique sterling silverware and EcoSilver. 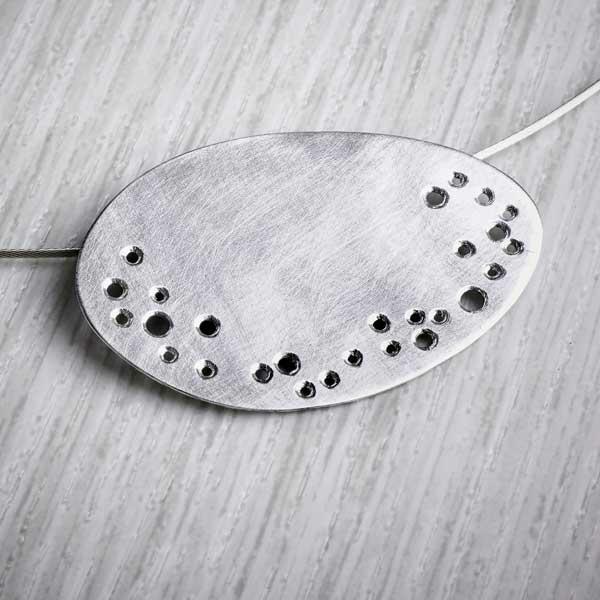 Each piece of jewellery is accompanied by a branded 'Echoes Collection' card that gives details about the whole collection, the inspirations behind it as well as information about the recycled nature of the silver used. Packaged in simple glassine bags and card boxes, all Milomade packaging is made from recycled materials and is also 100% recyclable. Store your necklet in its glassine bag or within a ziplock bag. Oxidised silver needs minimal cleaning and an occasional wipe with a silver cleaning cloth is sufficient.